Fleeting. 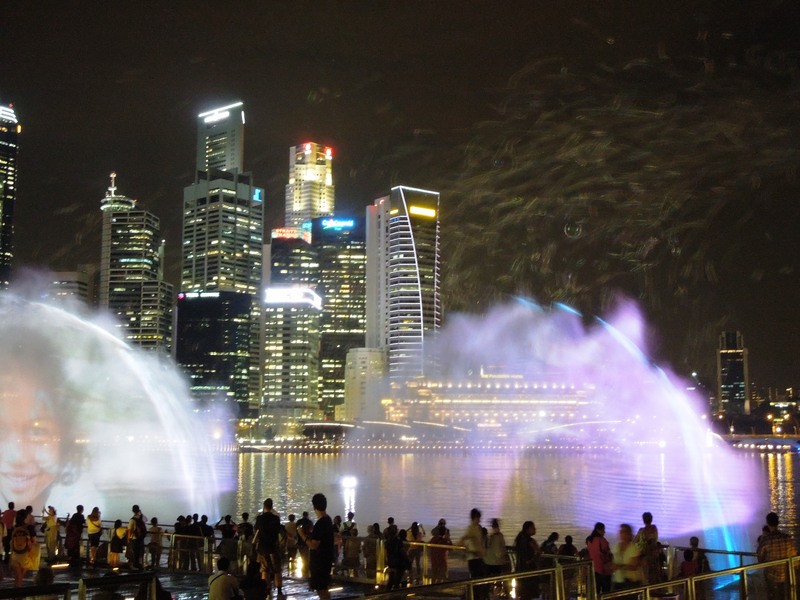 As in a laser light/water show with flickering images shown in bursts of spray sent up from fountains, accompanied to music. 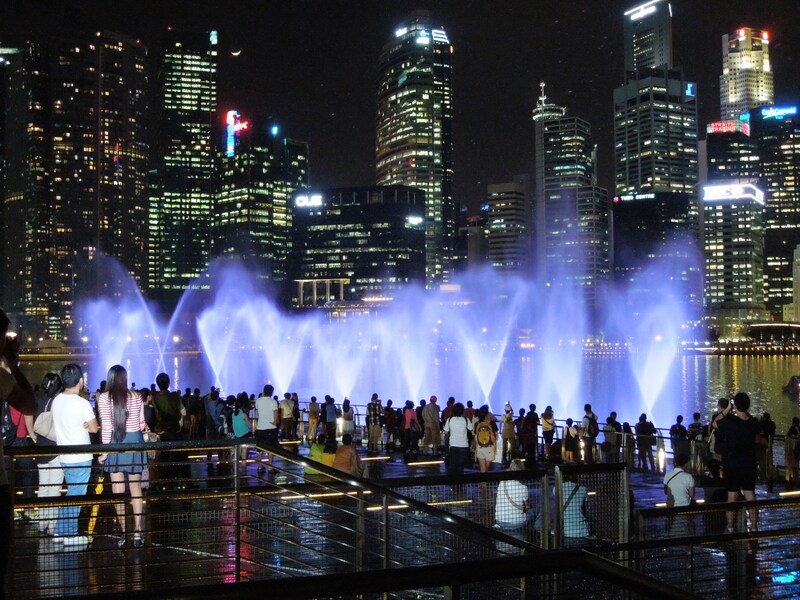 This was the magical scene before me one night at the bay in Singapore. The photos show the display really well. I bet it was really beautiful in person. It was breathtaking. Probably more so because my friend and I didn’t know anything about it and just happened upon it. On my last night in Singapore, no less. Cool images – the face in the last one is amazing! Yes. It was so clear. Accompanied to music, it was really incredible. An old concept but still guaranteed to entertain and amaze. Apparently there’s a brilliant, modern ‘Fountain of Joy’ in Kolkata. 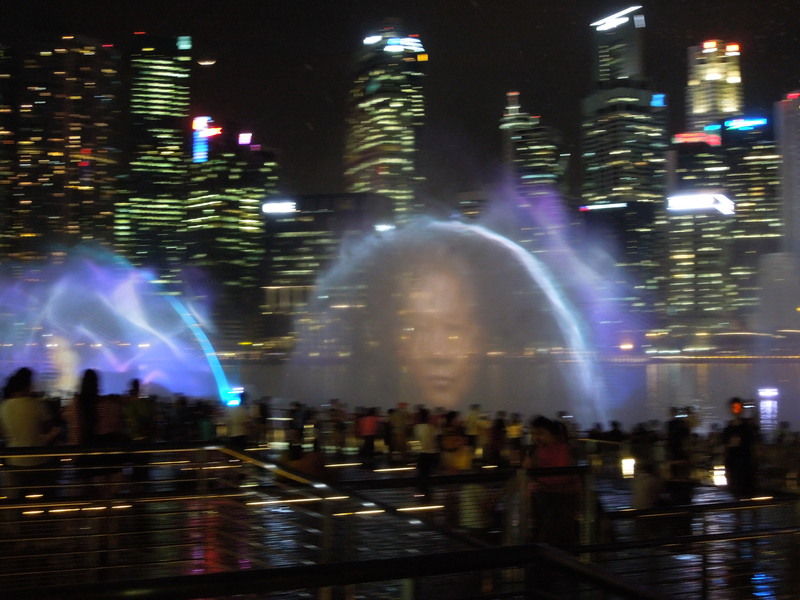 I’ve seen other laser light shows on the sides of mountains, but not images in water like this before. That last shot reminds me of the Wizard Of Oz. I am a sucker for a good water show and this one looks like it doesn’t disappoint! It was spectacular, wasn’t it? Lucky, indeed. Reblogged this on Life In The Land Of Smiles. Thanks for reblogging it. I appreciate it.